my last article was published at the end of July. At that time, it was highly uncertain what will happen with the subject of Biomimetics in Austria, especially in Villach. The weeks went further along and a lot of work was done. Today you get again an overview about the current state of Biomimetics in Austria. After some troublesome weeks I can give you some positive statements, including a declaration of Villach’s local government to preserve the subject of Biomimetics in the area. So it is official: the Master course Bionik/Biomimetics in Energy Systems will be restarted in autumn 2018 with some changes. The most important information will be the change of language from English to German. There is a reason why this must happen: the number of students. As I mentioned in my last article, until now there were mostly around 10 students per semester. The new target of the Carinthia University of Applied Sciences (CUAS) is to achieve 20 students per semester. But… a high share of interested students is from German speaking locations, which is the course’s biggest issue. It seems that many students are afraid to study in a foreign language. They withdraw their applications once they know that all subjects including the thesis are held or written in English. In hope to reach more applicants this change was necessary. Besides that change there are other positive information for future students. The scientific association bionikum:austria is organizing scholarships for students, which will cover the university tuition fee for 4 semsters (1454 €). At the moment, there are already 7 scholarships available with the target to achieve a total of 10. This means, half of the future students can get a such scholarship. In addition, the bionikum is debating on cooperating with the industry to establish some student employee positions in innovative companies. If our negotiations (which I am part of) end up positivly, I will inform you. For future applicants: Apply as soon as possible to get a chance to obtain a scholarship. Try to apply before March 2018. Later applications are still welcome though. It is possible to apply without being finished with your Bachelor course and even if you are accepted as a student, your are not obliged to take your place. This is a specific difference in Austria compared to Germany. This Master course specifically aims for applicants with working experience and/or employees in technical-natural science direction. The start of the course was shifted from autumn 2017 to March 2018. You might have seen the following map in the link above to the UAS Kufstein. In my opinion these kinds of maps are a very nice tool. I just add their map (as well as our map about ‚Where to study Biomimetics‘ here), so you can explore the projects and study courses in Europe. 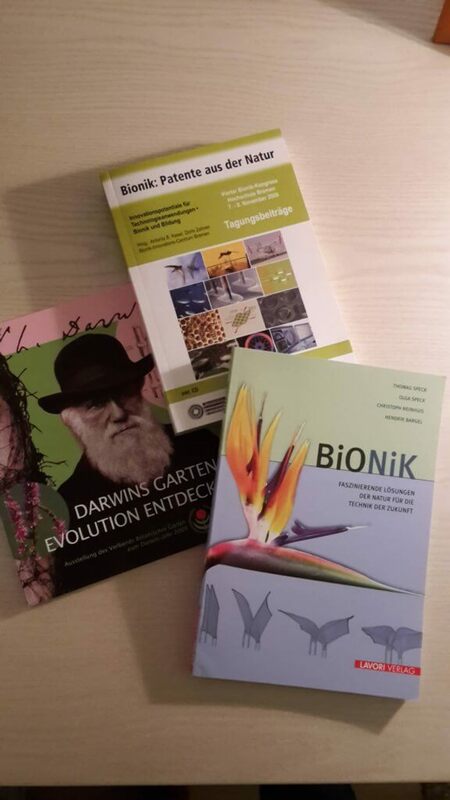 In this last part I will give you a small overview about the upcoming events that touch the topic of Biomimetics starting with an exhibition that Katharina already mentioned. Sadly, I will drive home for Christmas that date, so I cannot make a report. Maybe I find someone for a small article. I have no clue what you can expect from this exhibition, but I am very curios. Day 2: Inside the Fablabs and Workshops; Topics: Analytics, Rapid Prototyping, Start Ups and more. This was the second article of this kind on this blog and I will try to establish that format in the future by expanding into other European countries.